Justice For Survivors of Child.. The Platform of Scandals: Face.. The future is here. A product that first has the size of a regular phone, then can be unfolded to the size of a tablet or laptop. A device that’s so paper thin that it can easily be folded and tucked into your pocket– and not feel bulky. Samsung introduced the concept back in 2011 and said they were ready to release it in 2013. As we might’ve noticed, the experiment was somewhat of a no-show. About 8 years later, Samsung is finally able to release the first foldable phone. It was the development of the AMOLED screen in 2008 that set the ball rolling. The first smartphones carried liquid-crystal displays which was in itself revolutionary. One of the downsides however, is that they were quite fragile and would ‘leak’ when bent or dropped. In contrast, the current screens are more durable as they rely on a thin-film display that carries electrical diodes. The special screen is therefore able to bend without any dark spots appearing, creating the possibility of a bendable screen. This happened at CES 2013, where Samsung’s bendy screen made its debut. After this, Samsung only needed to create a special encapsulation technology, which protects the screen from moisture and air damage. 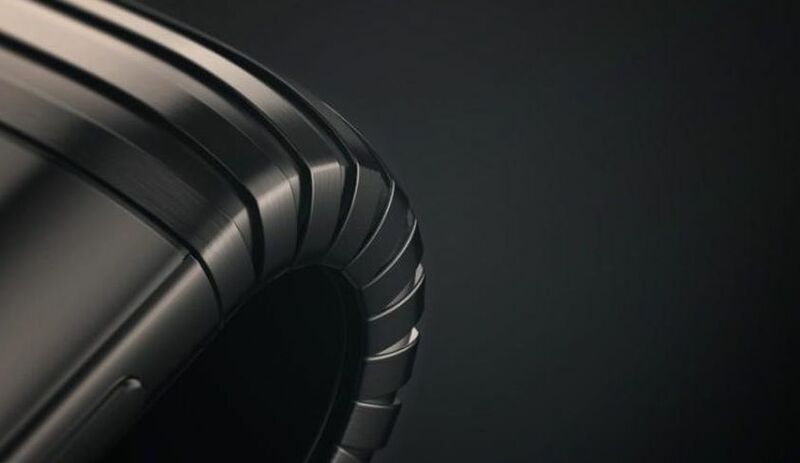 Currently, we do have some curve technology on the market with Samsung’s Edge product line. Samsung has seemingly learned how to implement it in their possibly revolutionary device. 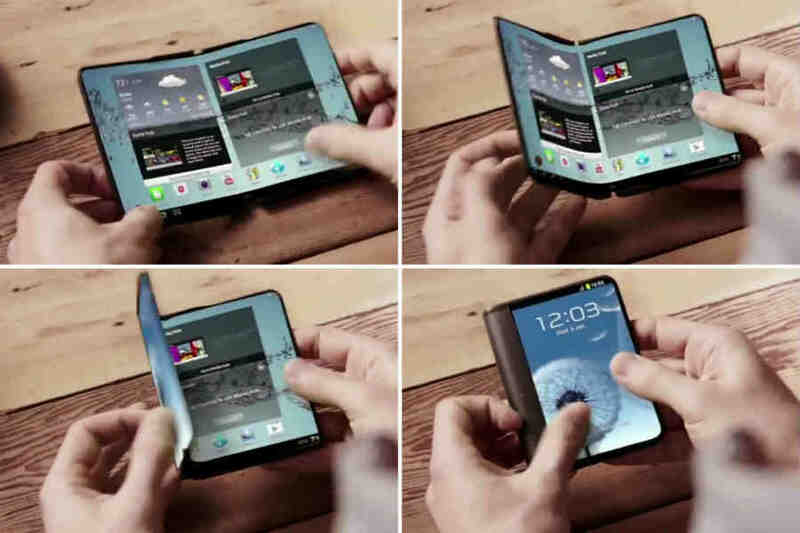 A new patent that was recently given to Samsung might give us insight into how this futuristic smartphone will work. 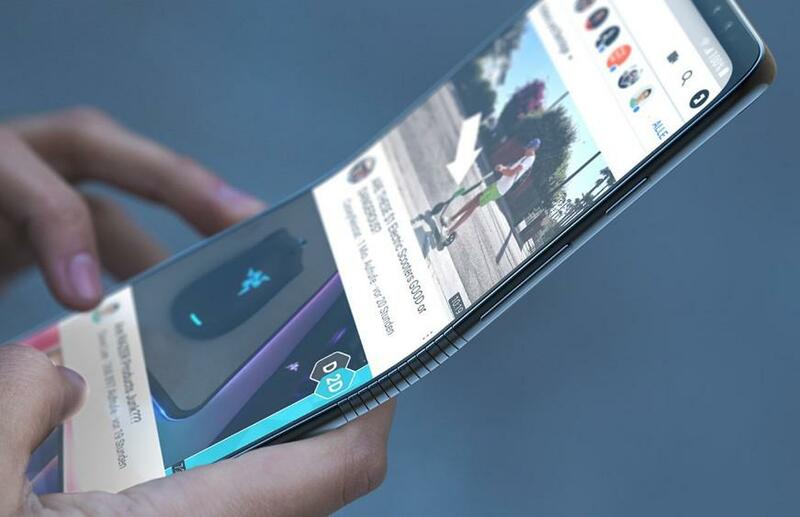 The patent in question describes an electrically activated locking mechanism that will “solidify” the physical state of the flexible display. This is attached to a solid frame that holds it in place. When folded, mechanical actuators will keep the phone shut so everything remains in position. The mechanism will automatically unlock to its unfolded status when the user starts to open the phone. After it has taken on its unfolded state the mechanism will locks ones more, so that the flat display remains stable and solid. That means you won’t have to worry about your phone collapsing when pressing the foldable line. Diagrams in the patent show that the phone might have a book-like, two-pane configuration. However, there are designs floating around that suggest the device may end up being a triptych, three-pane configuration. It’s a good thing that the new smartphone won’t take up a lot of space, because you probably need some deep pockets to buy it. Some digging by Patently Apple revealed some interesting details that could impact the price a lot. The site has revealed to us that Samsung has disregarded their usual South Korean supplier Kolon Industries in favour of smaller Japanese firm Sumitomo Chemical. The reason for why a smaller company was chosen? “Because they could meet small supply orders”. Consequently, their choice of opting for a smaller company against a mass producer means that the price will be higher. The less you can produce a product, the smaller the profit margins, leading to Samsung asking for a price that’s at least 2,000 USD. The phone is set to launch at the end of this year, and will be available for purchase next year. 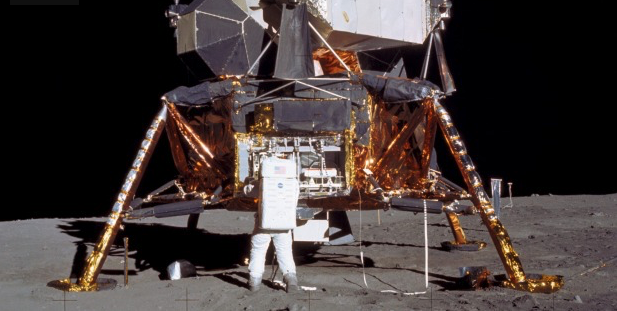 50 Years After Moon Landing: What’s Changed and What Hasn’t?